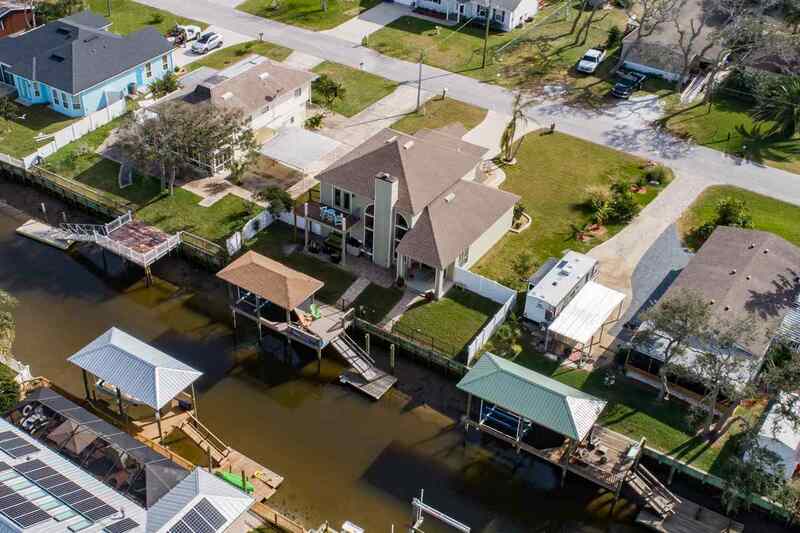 This canal front home is HIGH & DRY ! 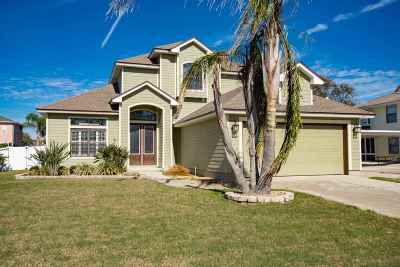 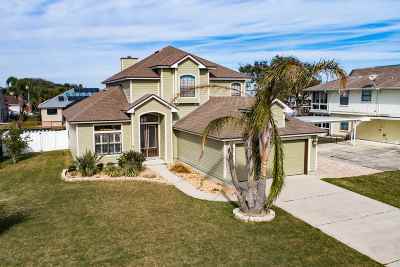 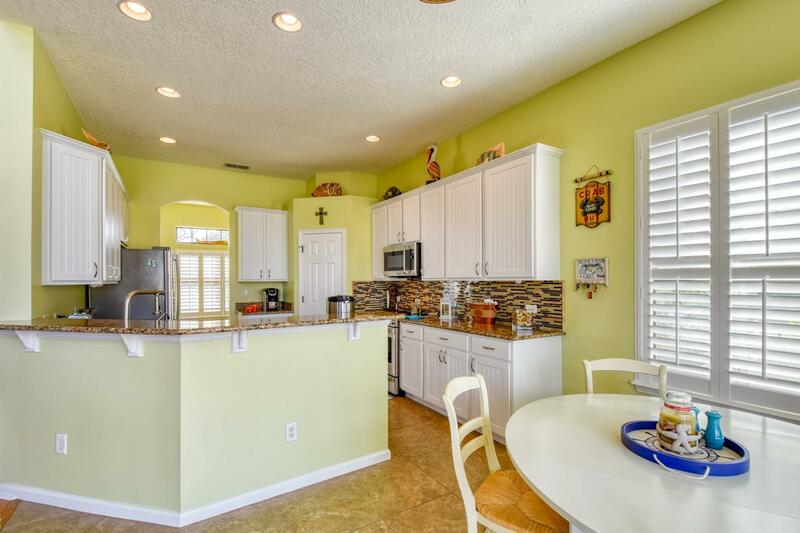 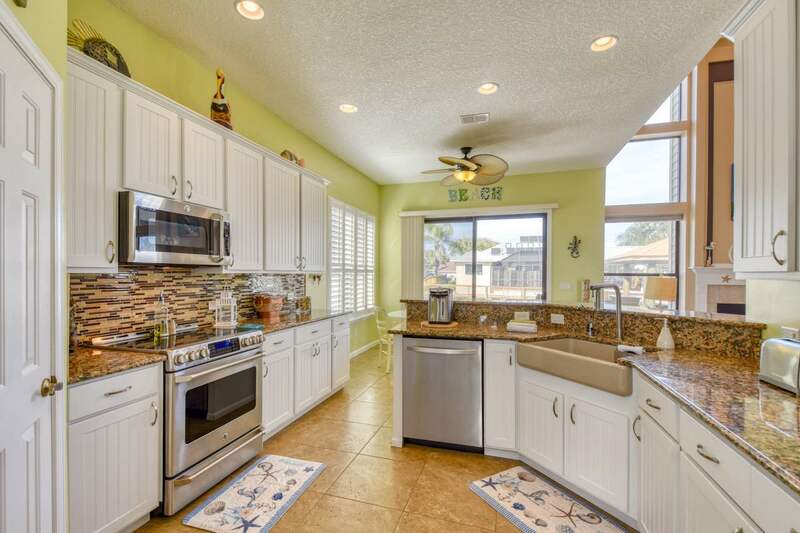 A tropical treasure with impressive features plus beautiful upgrades throughout its 2100+ square feet. 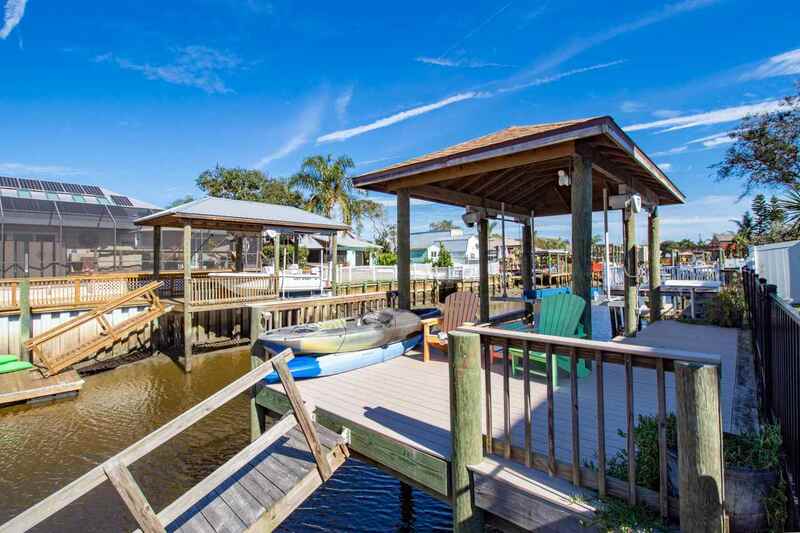 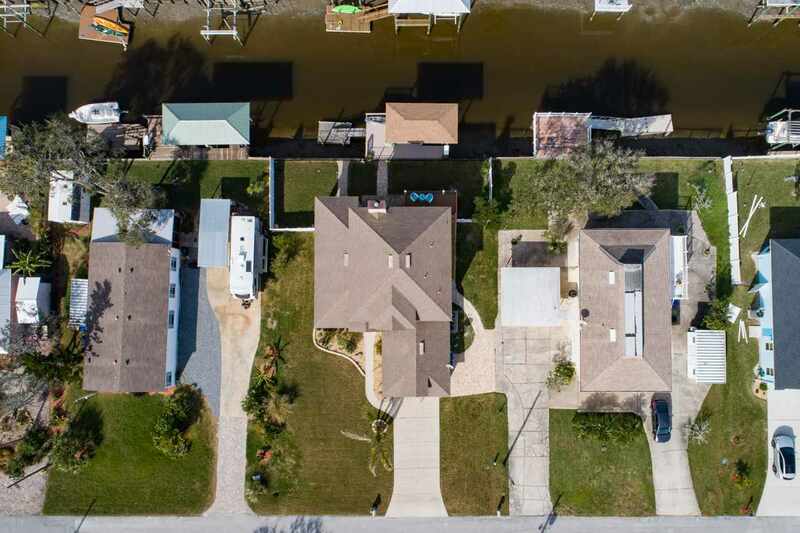 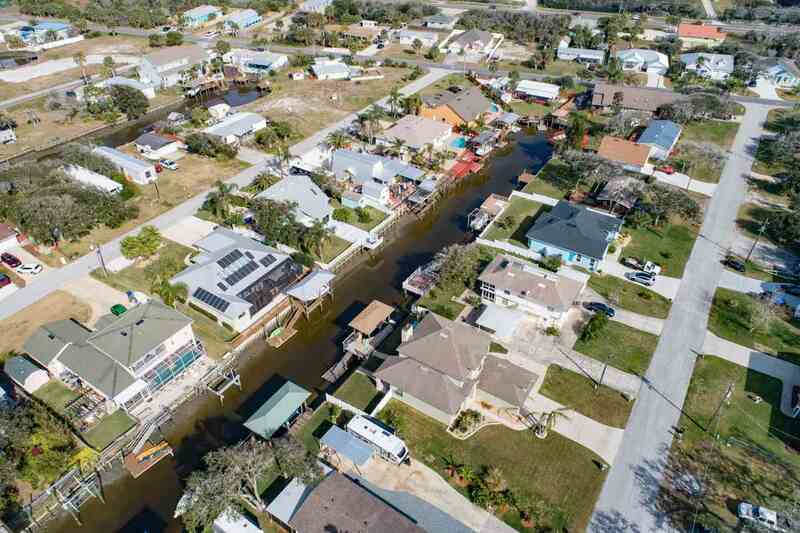 Boat life is right out your back door with new covered boat lift w/remote and floating dock on a canal that leads to the Intracoastal Waterway. 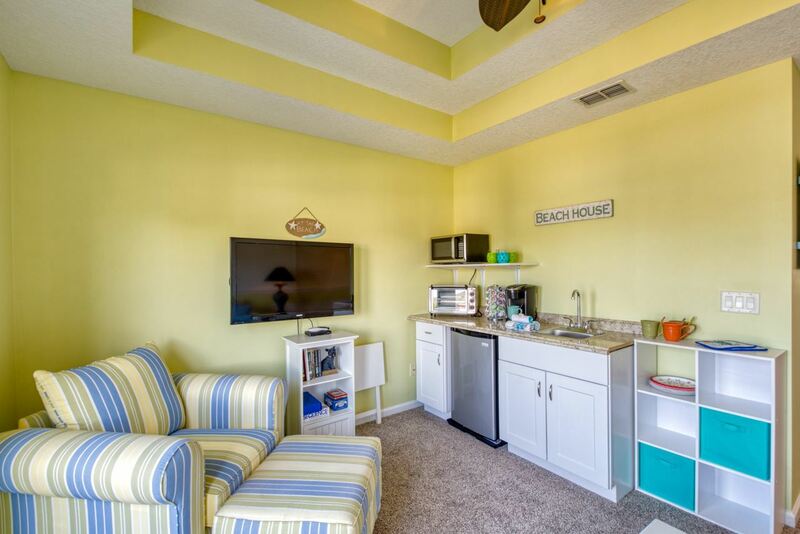 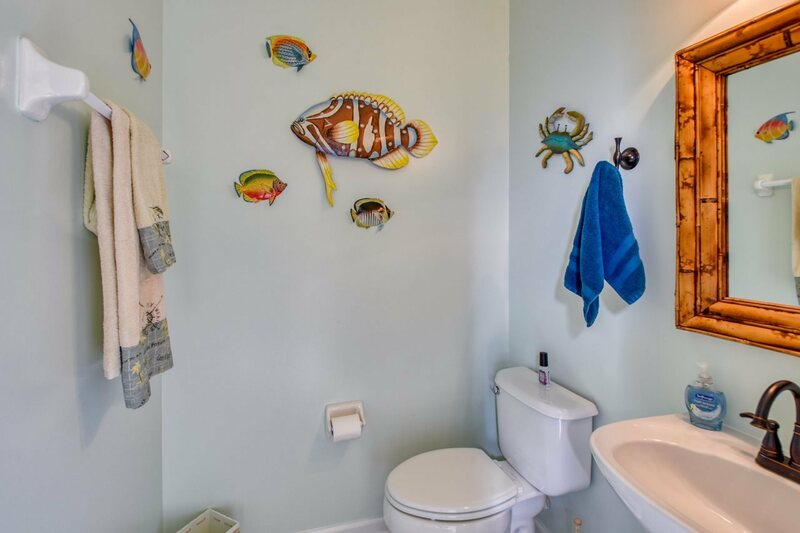 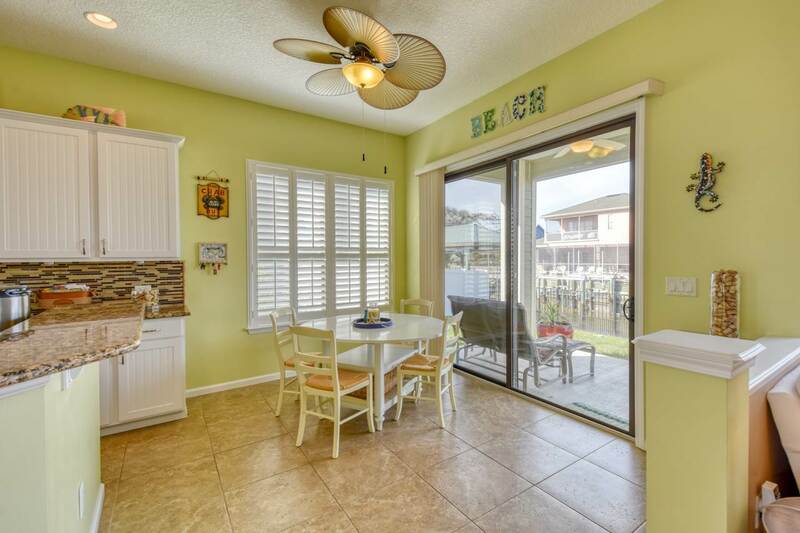 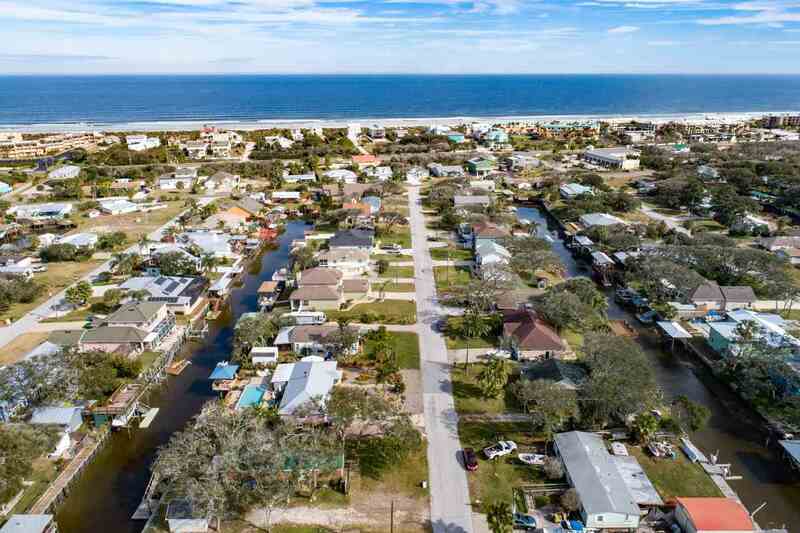 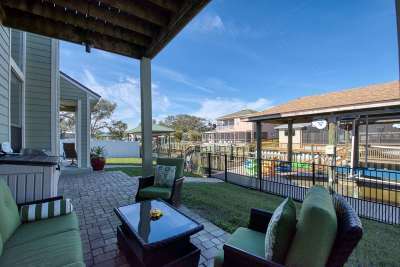 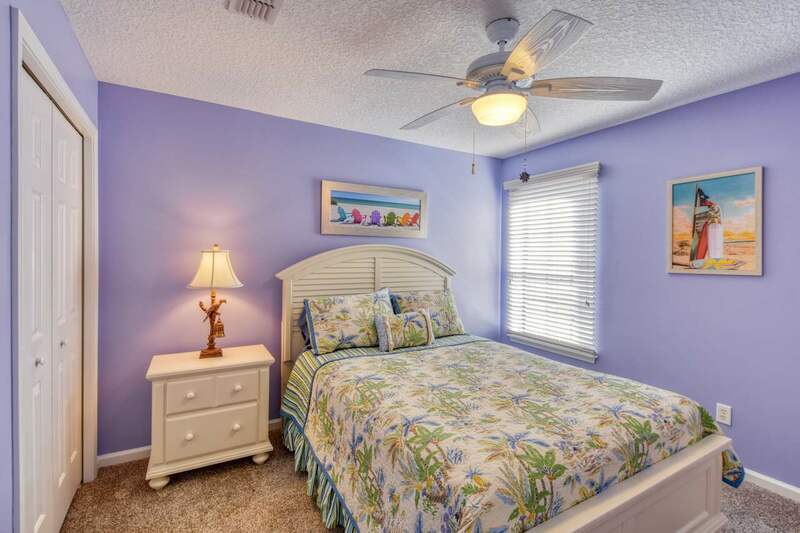 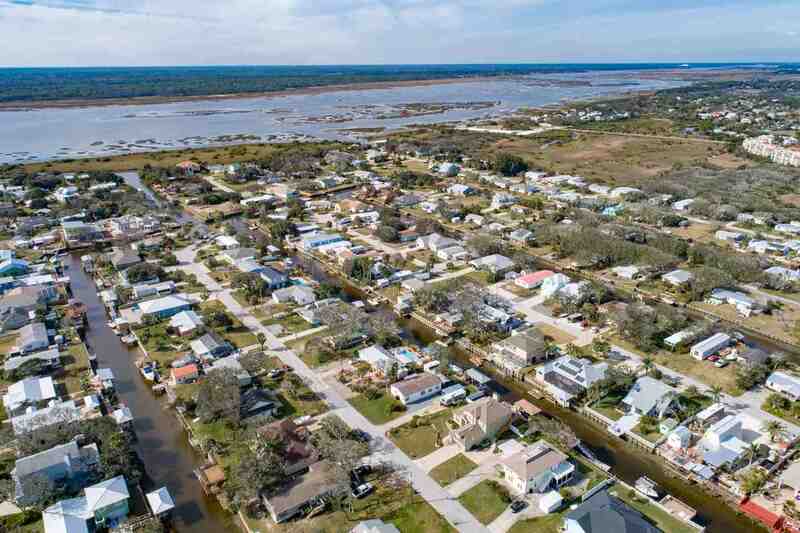 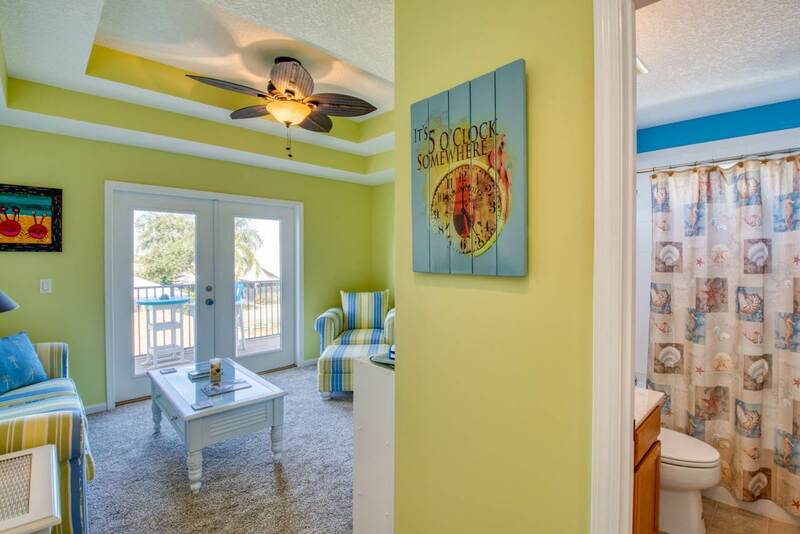 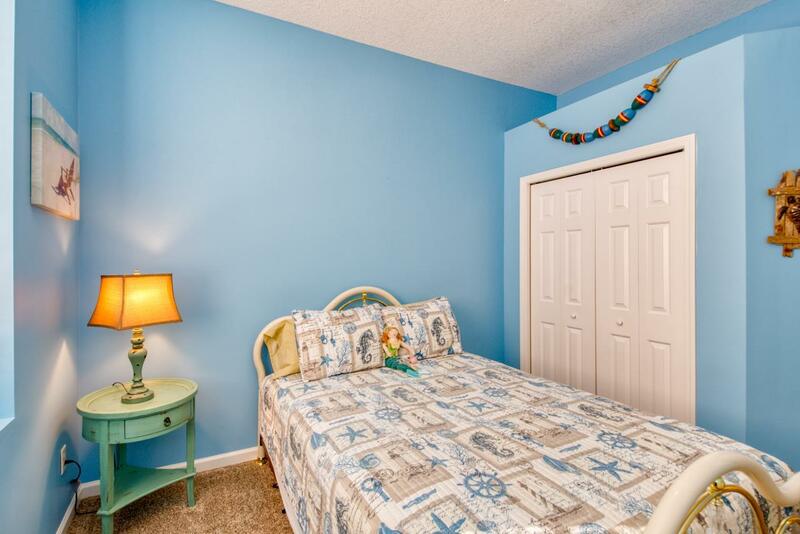 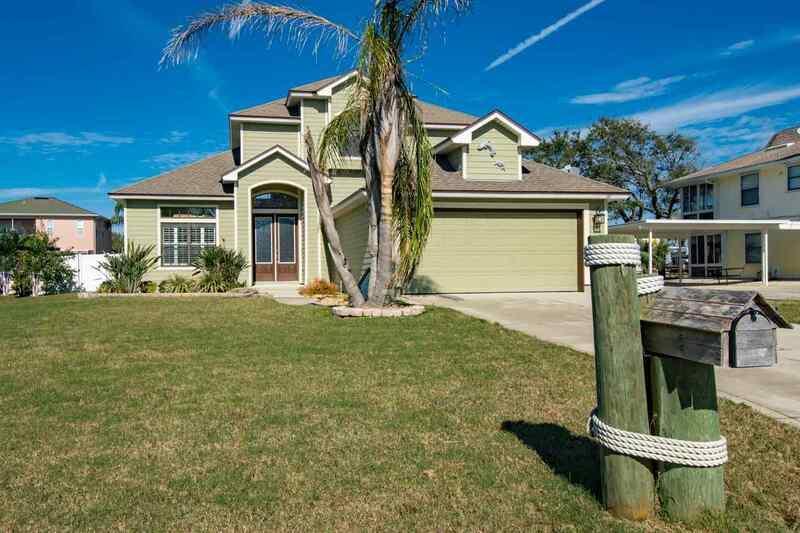 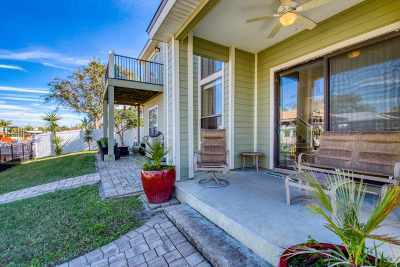 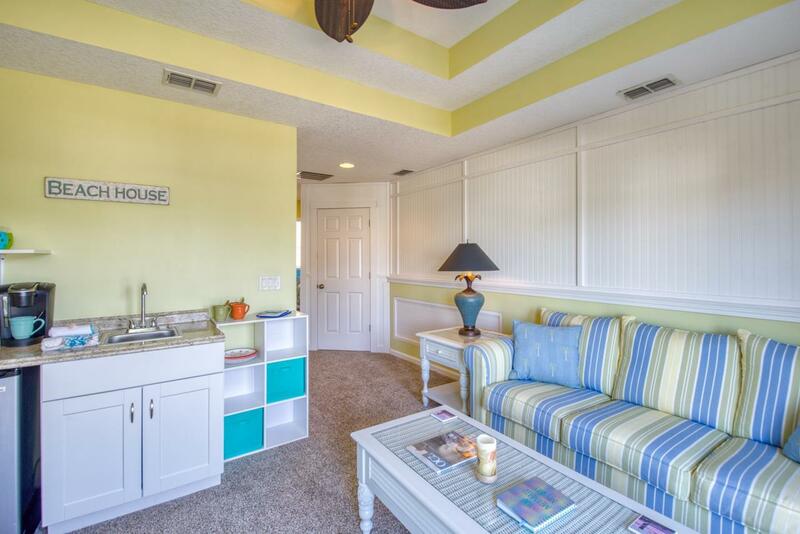 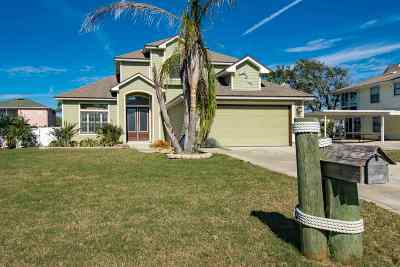 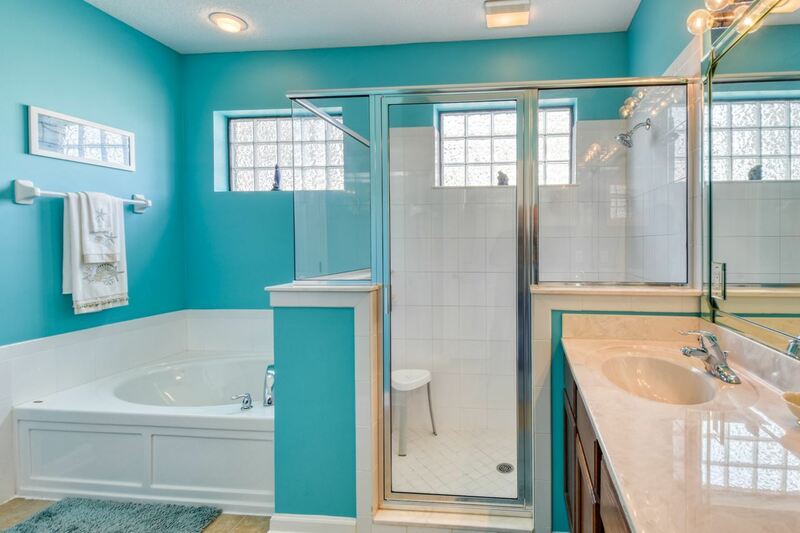 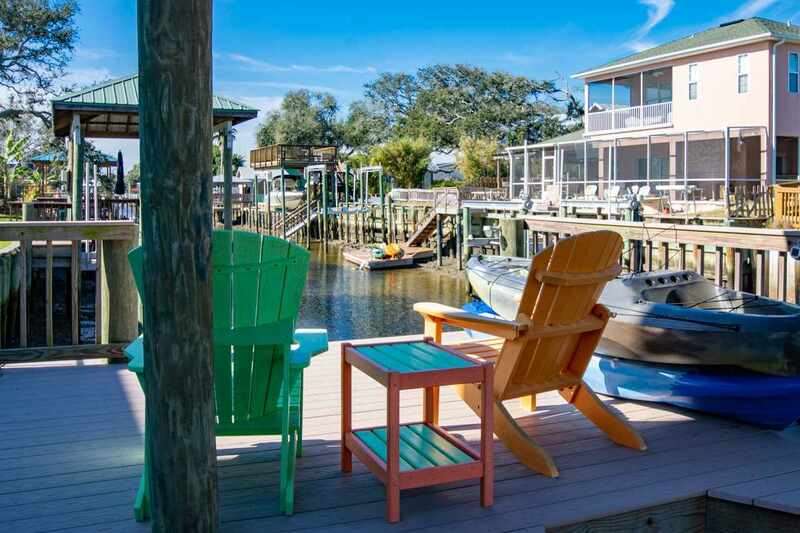 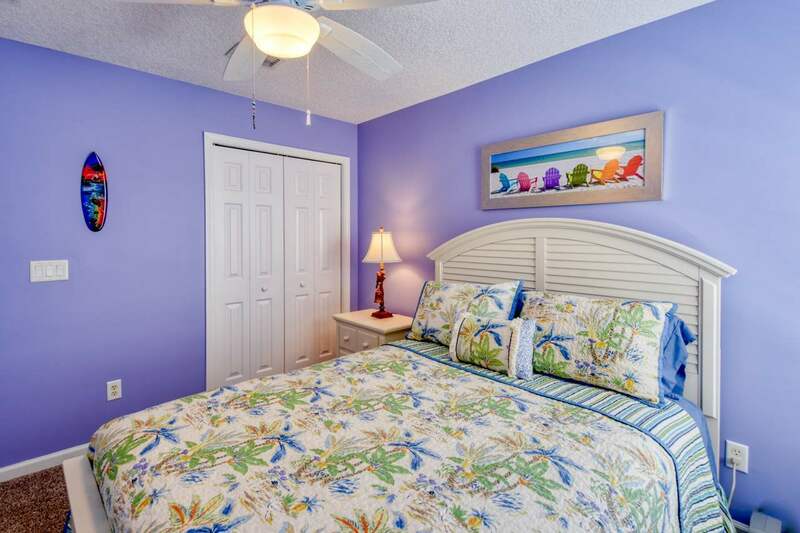 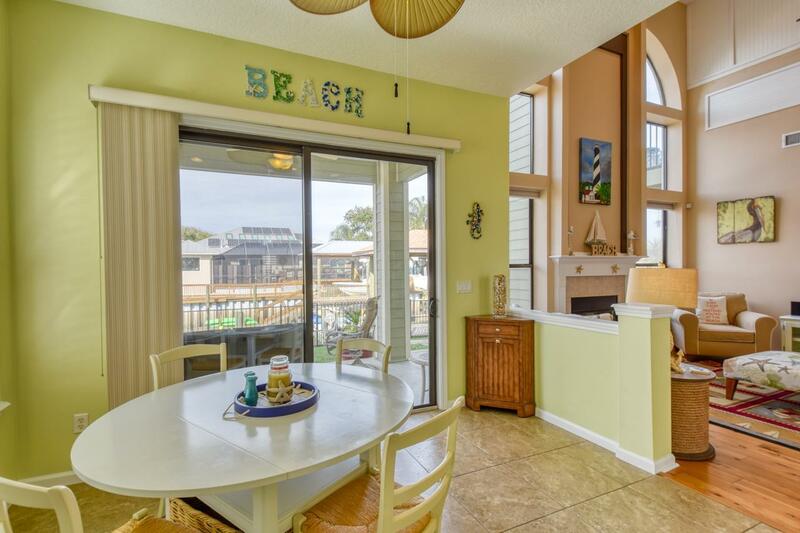 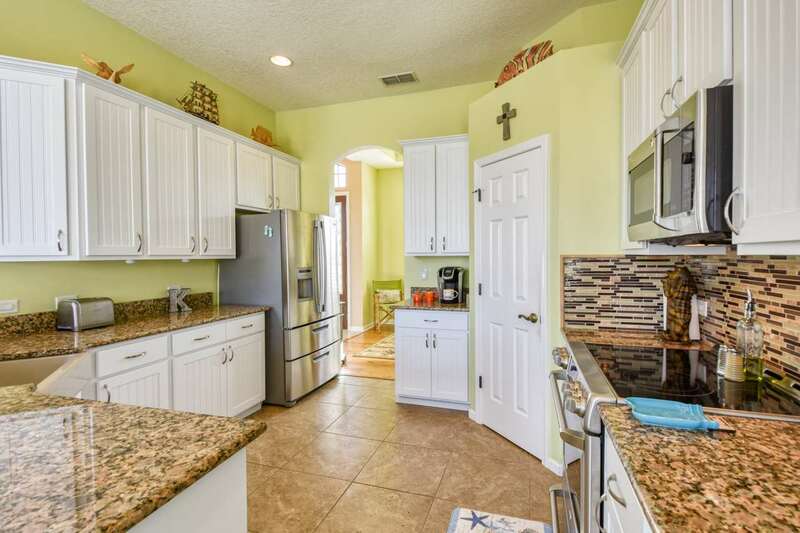 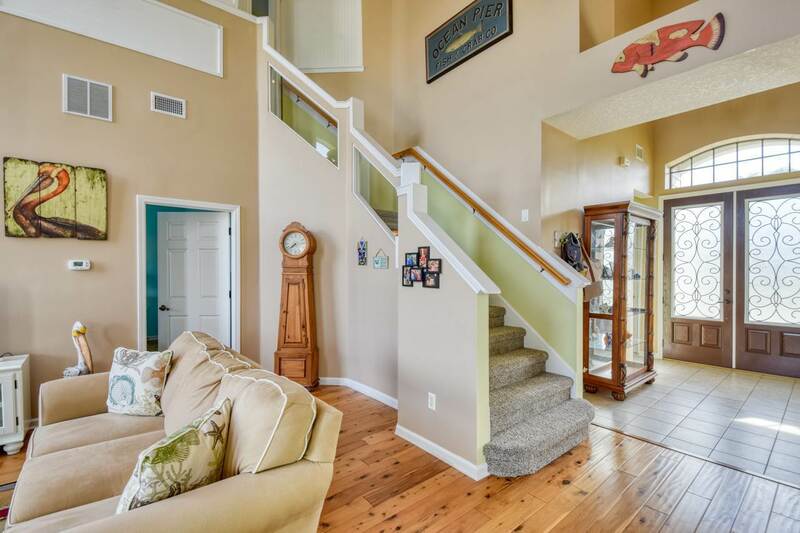 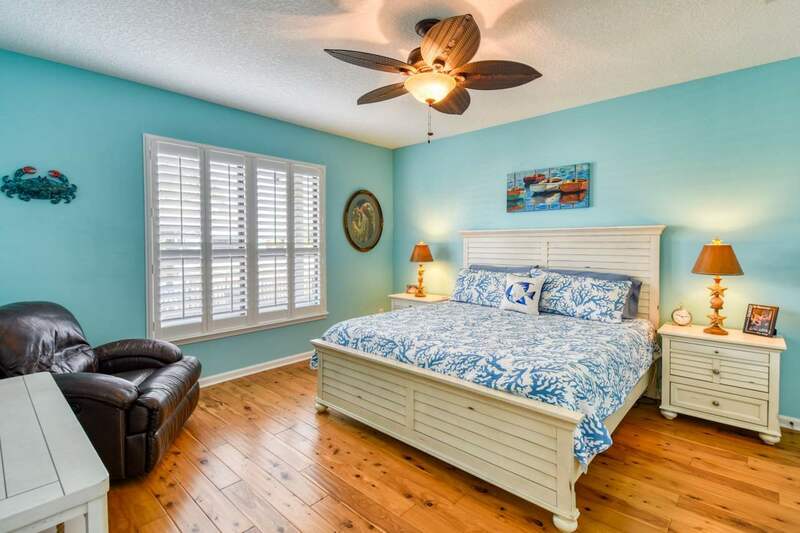 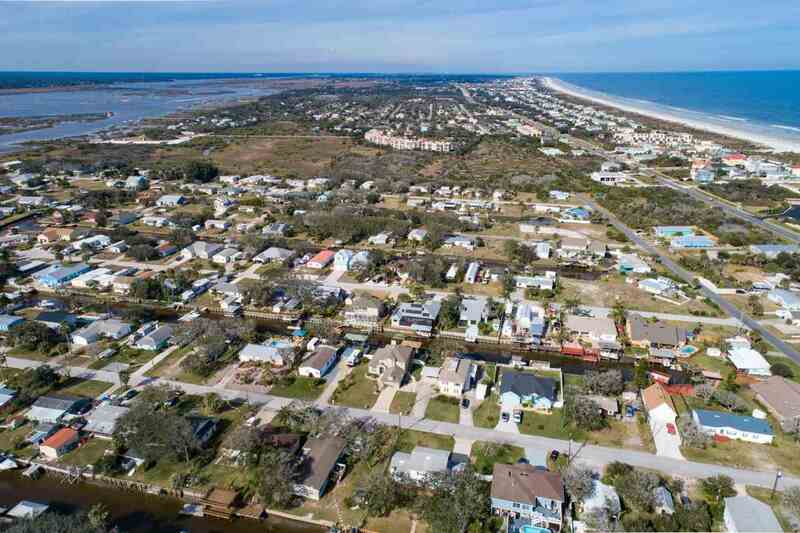 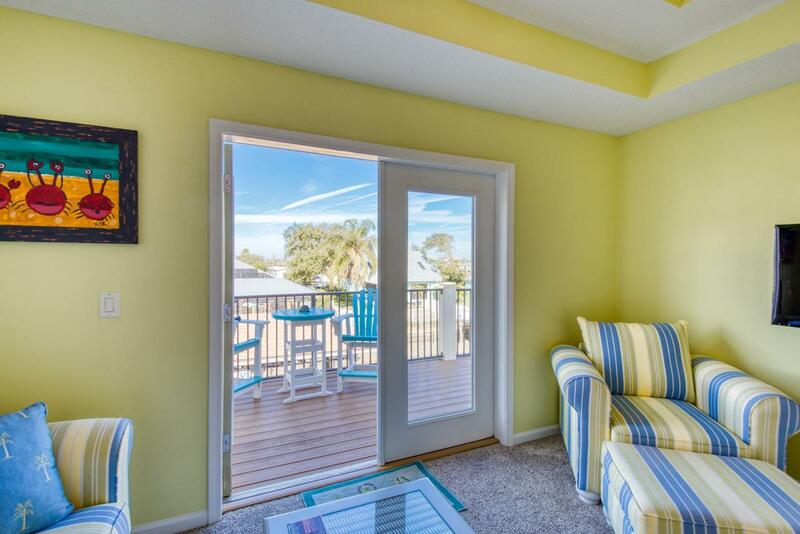 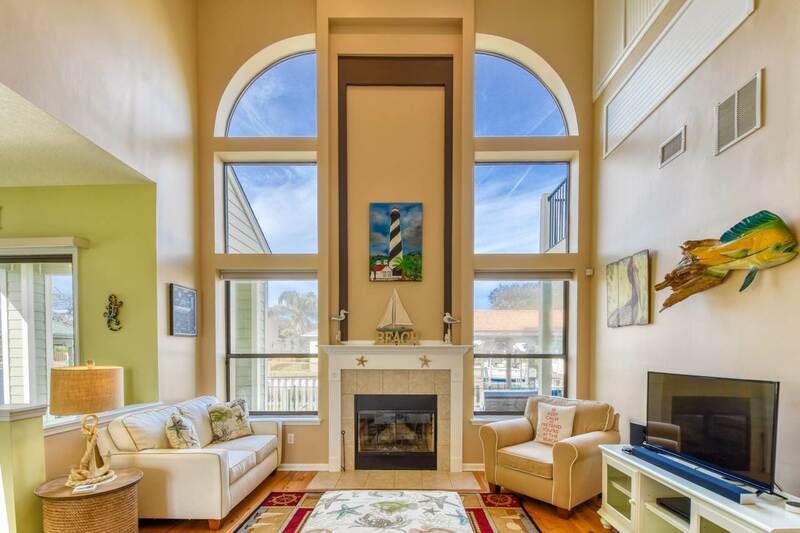 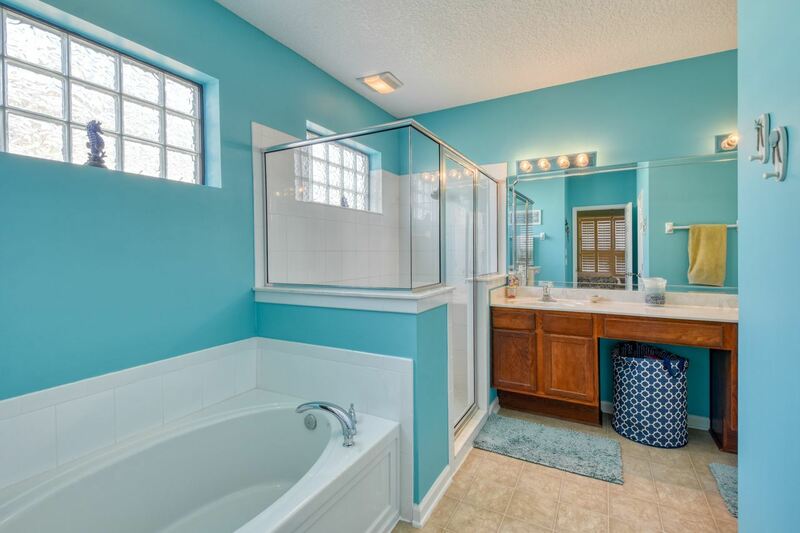 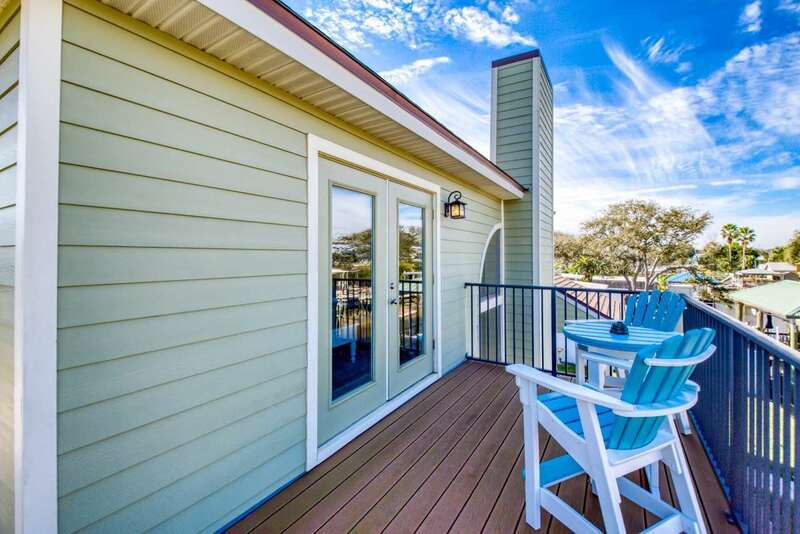 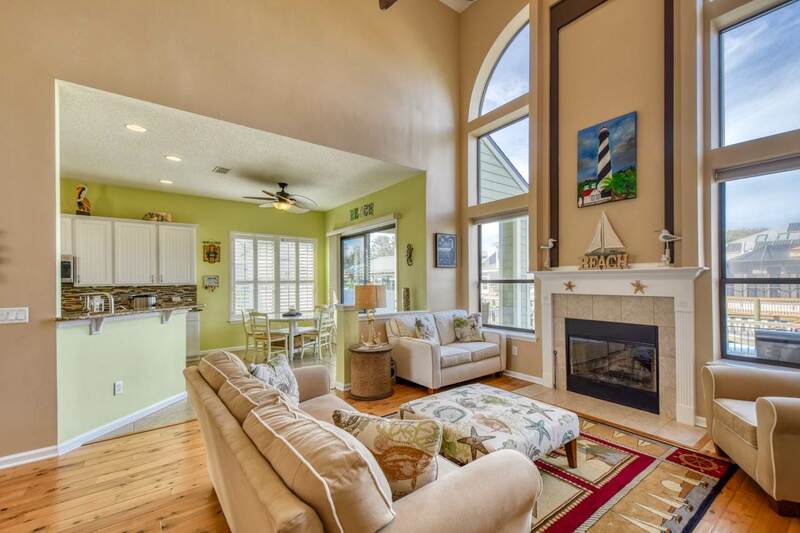 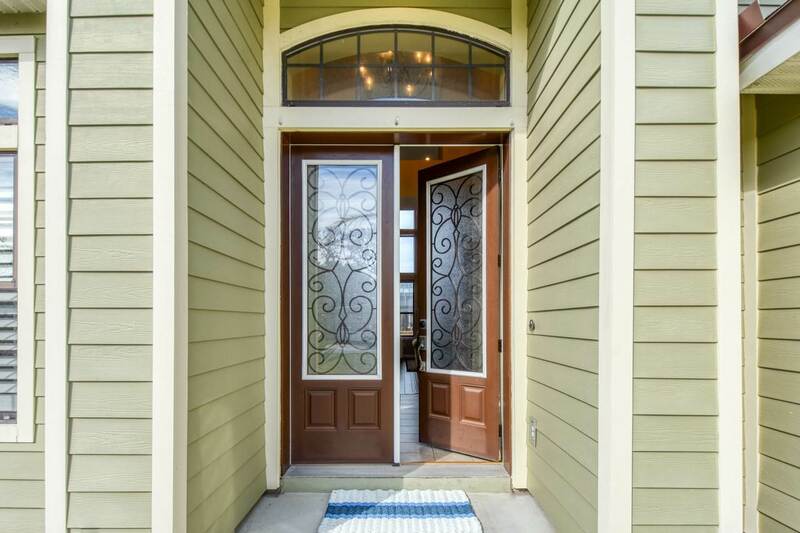 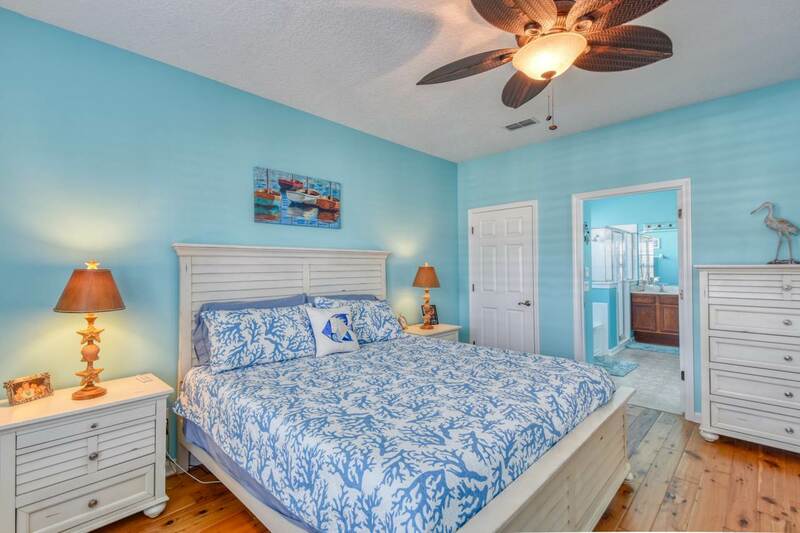 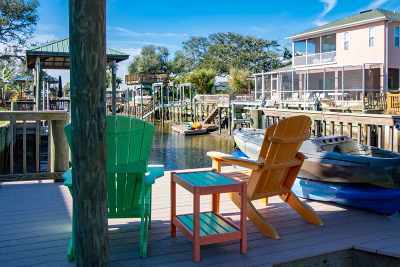 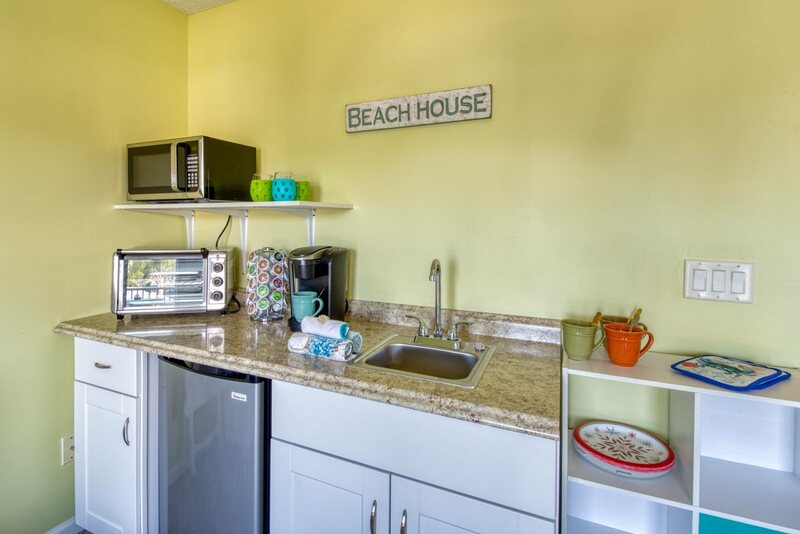 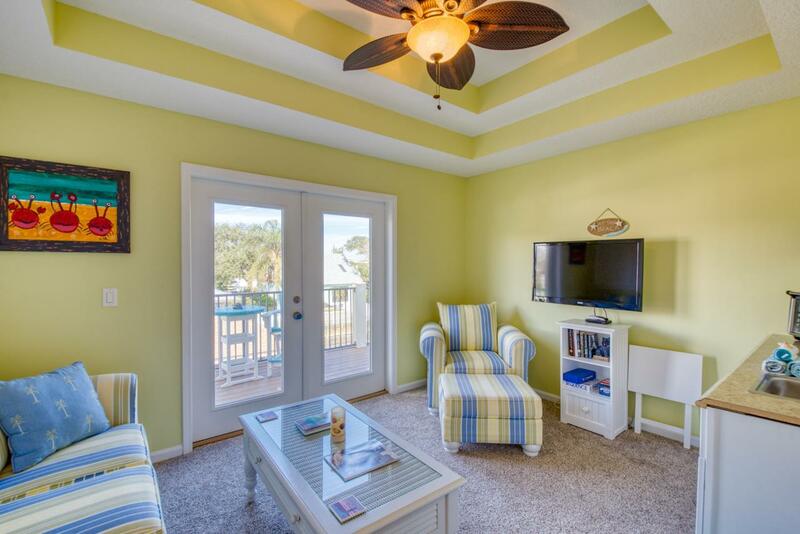 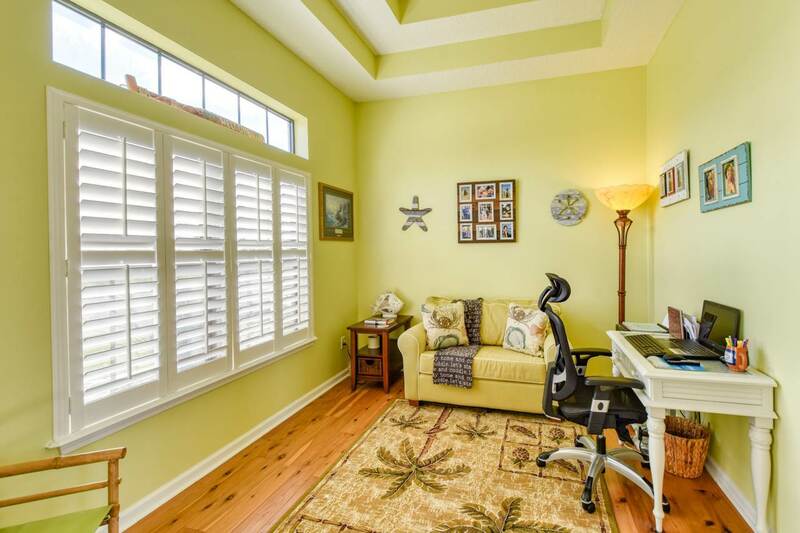 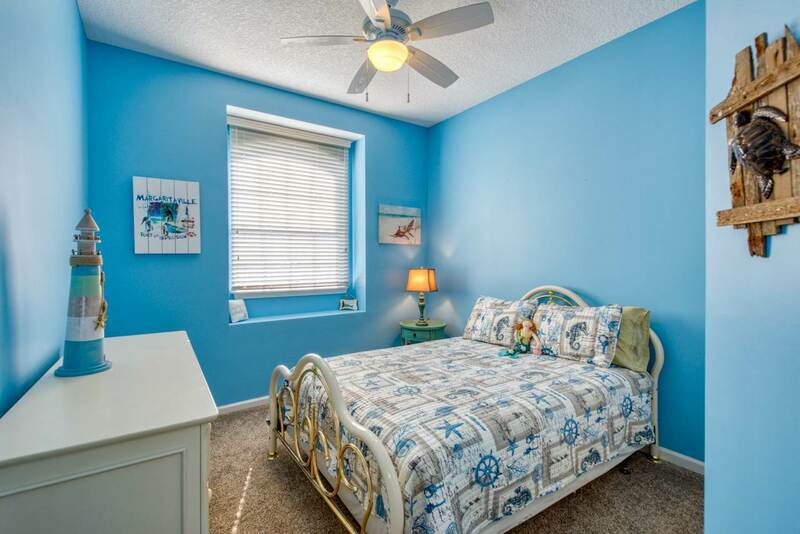 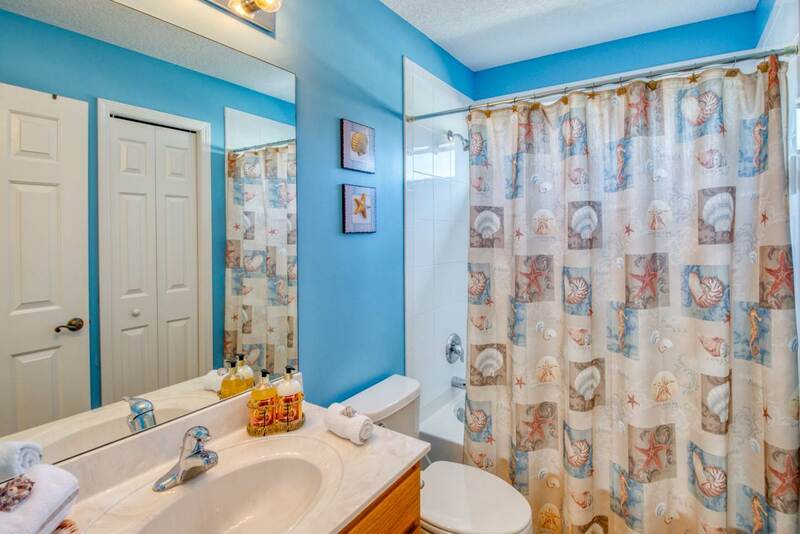 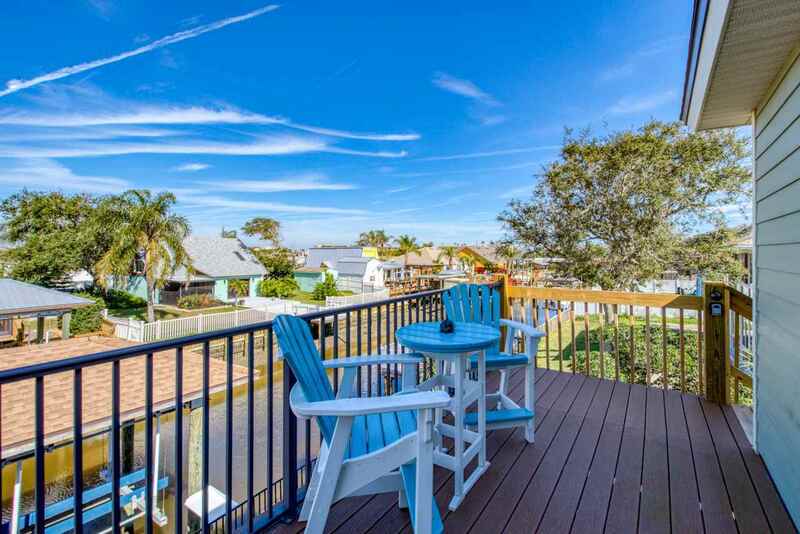 Boating, fishing, paddle boarding plus deeded access to the beach a few blocks away. 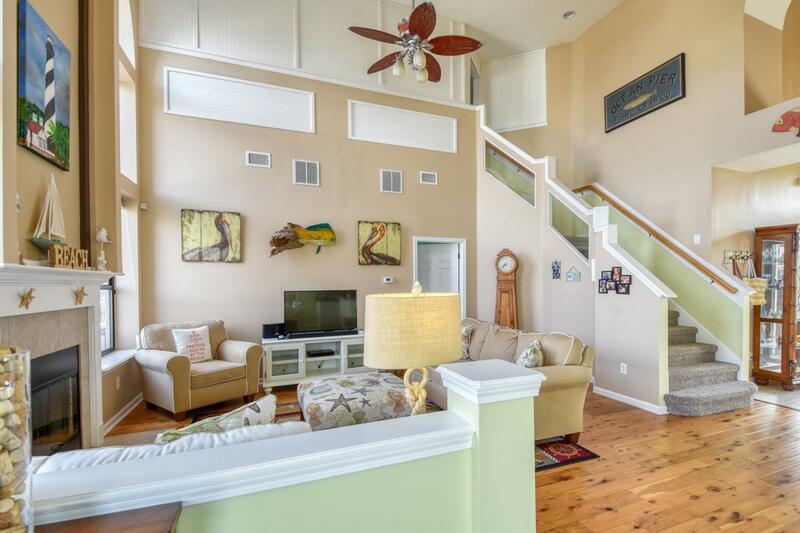 Two kayaks to stay with the property, The list of interior and exterior features are endless. 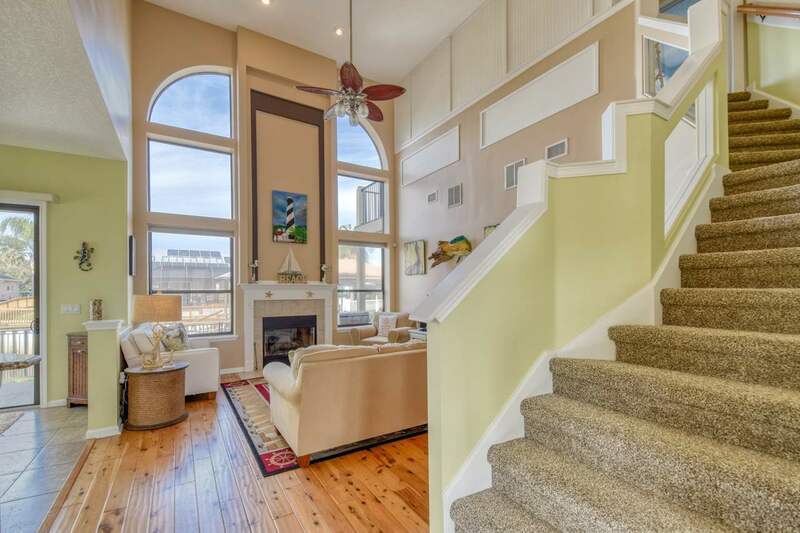 Soaring 19 foot ceilings in The great room w/wood burning fireplace as a focal point (w/new chimney stack),double tray ceilings in dining room, plantation shutters, granite kitchen counters, stainless appliances, breakfast nook, Cypress plank wood floors in great room and master bedroom, new carpet upstairs, oversized front entry double doors, reverse osmosis water system, Hardiboard siding (within last 3 years), 2 new a/c units 2015/2017; two car garage, irrigation system, fenced yard, covered downstairs patio, upper balcony with own entrance, currently used for Airbnb. 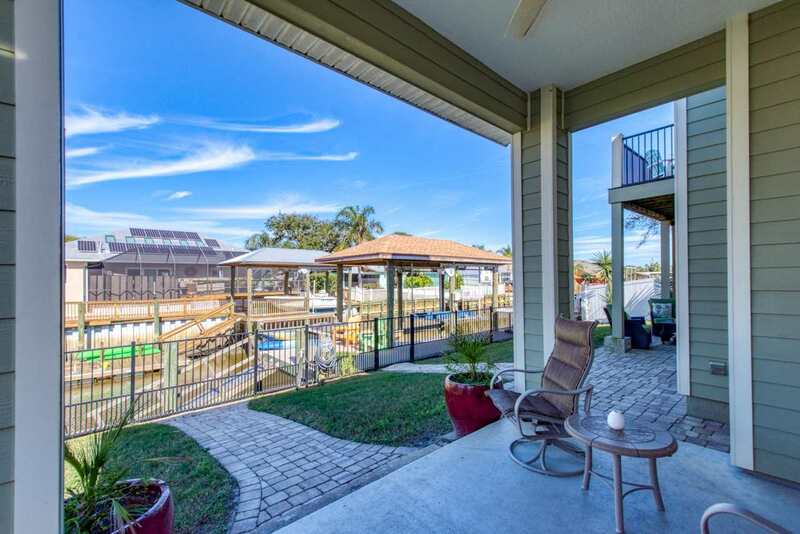 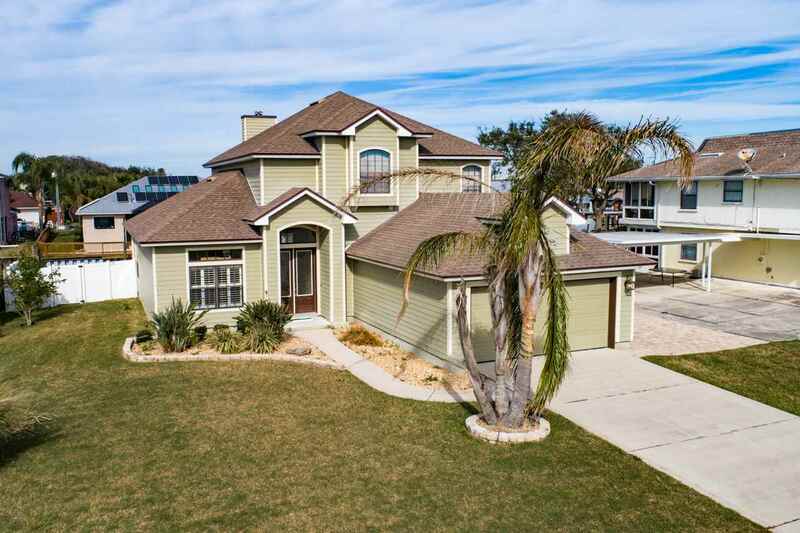 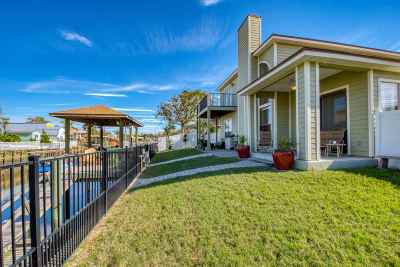 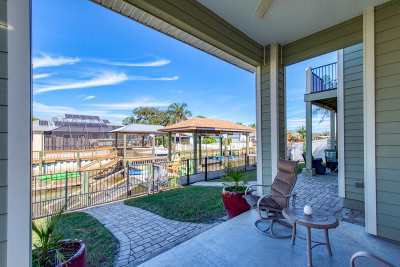 Water views plus so much more! 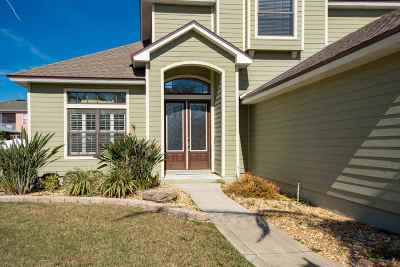 Termite Bond as well!